Eye tests could be detailed enough to pick up on early signs of Alzheimer’s disease, according to scientists. 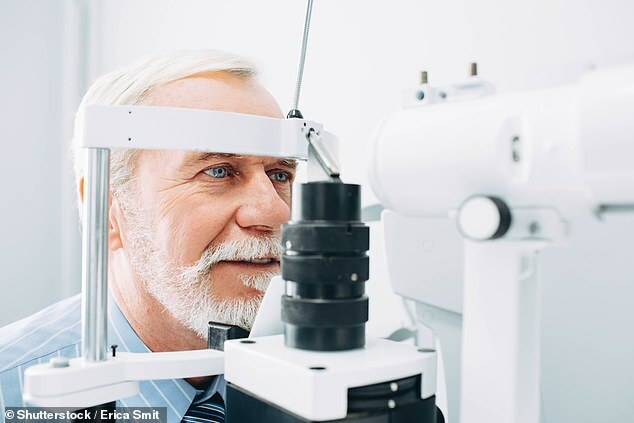 Researchers say a new type of scan for the eye can show if tiny blood vessels in the back of the eye or changing, and pick up on thinning of the retina. These could be signs of looming damage in the brain which could lead to Alzheimer’s disease, the leading cause of dementia. And the early test raises hope of patients being treated or making lifestyle changes years before the disease actually develops, potentially adding years to their lives. The technique called Octa (optical coherence tomography angiography) could revolutionise treatment of the devastating neurological disorder. There are drugs which can relieve symptoms of Alzheimer’s or slow it down, and they work most effectively in the disease’s earliest stages. Spotting the condition sooner could allow for better treatment, and people could be encourage to change their diet or exercise more to slow down or stop its progress. The study published in Ophthalmology Retina compared the retinas of Alzheimer’s patients, people with mild cognitive impairment (MCI) and healthy people. The Alzheimer’s group had lost some of their small retinal blood vessels at the back of the eye. A specific layer of their retina – sensitive tissue at the back of the eye – was also thinner. People with cognitive impairment did not show the same changes. The accuracy of the test showed it could even distinguish between Alzheimer’s and forgetfulness caused by MCI, which can also lead to dementia. It is the largest analysis of its kind to date and adds to growing evidence Octa is a potentially vital tool in the war on dementia, the leading cause of death in the UK. The method has assisted much of the recent research on the eye’s connection with Alzheimer’s. Alzheimer’s disease is a progressive brain disorder that slowly destroys memory, thinking skills and the ability to perform simple tasks. It is the cause of 60 percent to 70 percent of cases of dementia. The majority of people with Alzheimer’s are age 65 and older. More than five million Americans have Alzheimer’s. It is unknown what causes Alzheimer’s. Those who have the APOE gene are more likely to develop late-onset Alzheimer’s. There is no known cure for Alzheimer’s, but experts suggest physical exercise, social interaction and adding brain boosting omega-3 fats to your diet to prevent or slowdown the onset of symptoms. It enables doctors to see blood vessels in the back of the eye that are smaller than the width of a human hair. The retina shares many similarities with the brain, the researchers said, suggesting deterioration in one mirrors the other – the two are connected by the optic nerve. One of the main reasons new drugs have been ineffective so far is they are administered too late to trial patients – when the disease is advanced. Early diagnosis will allow researchers to administer them sooner in the disease process which may lead to better results. It would also give patients time to plan for the future with their families while they still have their faculties, said the US team. They added that this new technique could overcome the hurdle of trying to test millions of people efficiently. Current tests are not suitable for widespread screening – brain scans are expensive and spinal taps or lumbar punctures, in which a needle is inserted into the spine to collect cerebrospinal fluid, have risks. Instead, the disease is often diagnosed through memory tests or observing behavioural changes – by which time the condition has become more advanced. Professor Fekrat and lead author Professor Dilraj Grewal, who are based in the same lab, expect their work will one day have a positive impact on patients’ lives. Professor Fekrat said: ‘Early diagnosis of Alzheimer’s disease is a huge unmet need. ‘It’s not possible for current techniques like a brain scan or lumbar puncture to screen the number of patients with this disease. Alzheimer’s and other forms of dementia affect 850,000 people in the UK – a figure set to rise to 2 million by 2050 because of the ageing population.